The only rostering solution specifically designed for Aged Care. Providing the right care, on time and on budget, for your organisation. Optimise staff coverage based on care requirements for every shift, every day. Minimise the complexity of interpreting conditions & rules associated with your Awards or EBA in a simple timesheet format. Integrate with your payroll solution to reduce time spent keying data and reduce payroll errors. Critical to care delivery, staffing costs make up the largest portion of total operating costs (averaging 67%). Mirus Australia's extensive experience with aged care providers has put us in a unique position to design and build solutions. 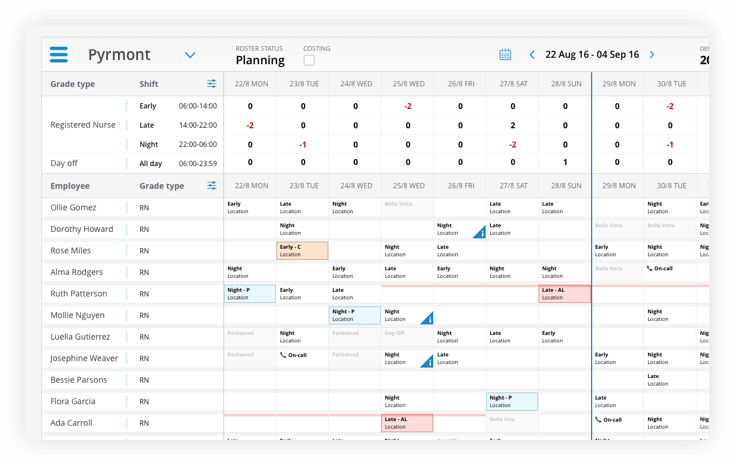 This has allowed for the creation of demand-based rosters, tracking of employee time and attendance, streamlining absence and leave, and real-time reporting! All of this gives you the ability to provide the best quality care to your residents, whilst having clear visibility of the associated costs. Our sophisticated and powerful award engine means that manual award interpretation is now a quick, accurate and automated process. Comprehensive rules interpret your Awards or EBA’s in real-time allowing you to better plan your roster to budget each and every fortnight. In a few clicks export your Timesheet data to your preferred payroll solution, providing efficient and accurate payment to all employees. The Mirus Works! skills module allows you to monitor skills, training, compliance and qualifications at a glance. 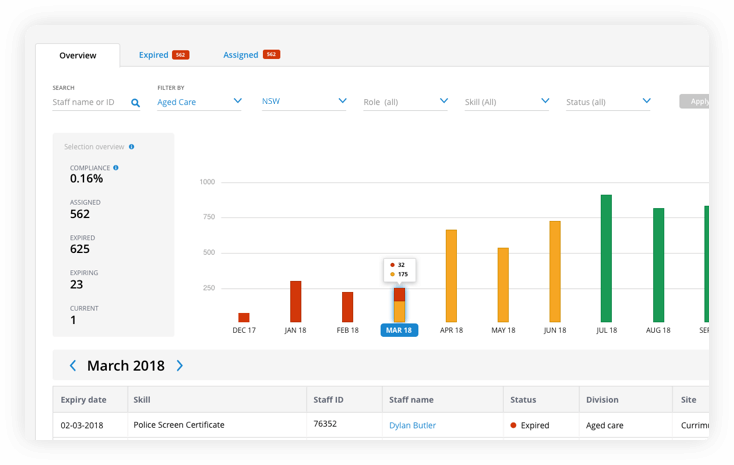 With real-time visibility you can easily identify when skills have expired, helping you to follow-up, plan training and prepare for audits. With skill profiles you can easily create employee skill requirements for each role and organisational unit and empower employees to self-manage via our employee kiosk. and much more, discover all the features now! 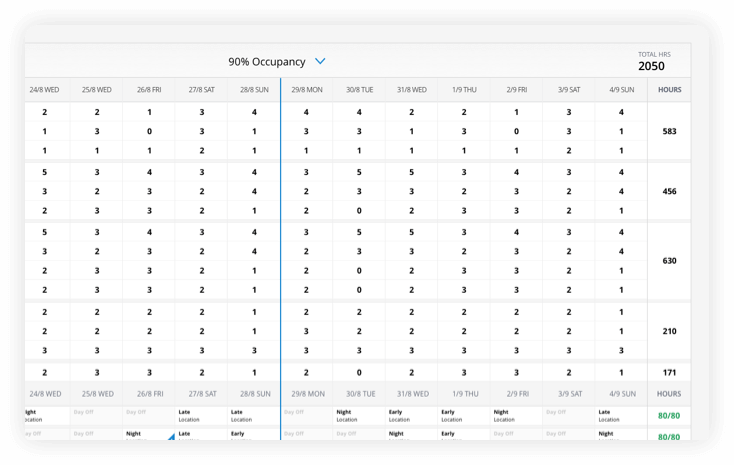 Flexible, demand based rosters leveraging occupancy and clinical acuity data. Quality Standard #7 ready - be compliant, monitor skills training, compliance & qualifications in real time. 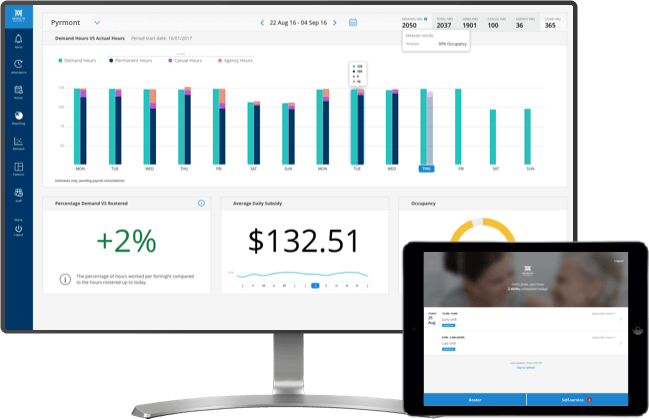 Live costing based on your Award/EBA and using real time attendance data integrated with your payroll solution. A co-sourced partnership where our team helps to deliver 'The Works' to you. *Base prices are AUD ex.GST, Please contact us at 1300 738 145 for more information or to request a quote.